Harsh words, confrontations, possibly even seeing parents in handcuffs -- these are traumatic experiences for young children who have to tag along when family members are involved in court actions. CourtCare is a free drop-in child care program for children ages six weeks to ten years located in downtown Portland's Multnomah County Courthouse. CourtCare, a project of the Multnomah Bar Association, is operated by Volunteers of America Oregon and receives primary funding from the Multnomah Bar Foundation, the OregonJudicial Department and Multnomah County. 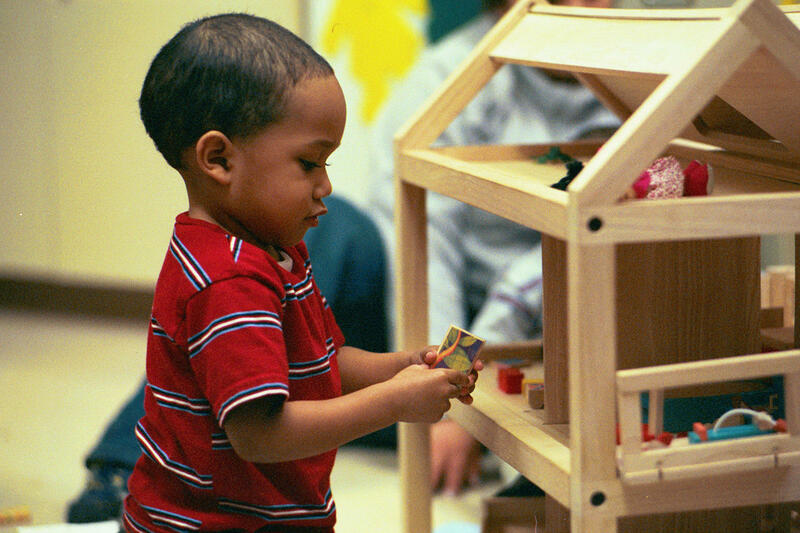 CourtCare is a fully staffed and certified child care center. It offers a safe, supportive environment and a full range of enriching, age-appropriate activities for children to enjoy for the duration of their parent's involvement in court. In addition, CourtCare provides a needed link to other services within the community. Resources are available and guardians have the opportunity to talk with staff and explore the many resources and linkages available. 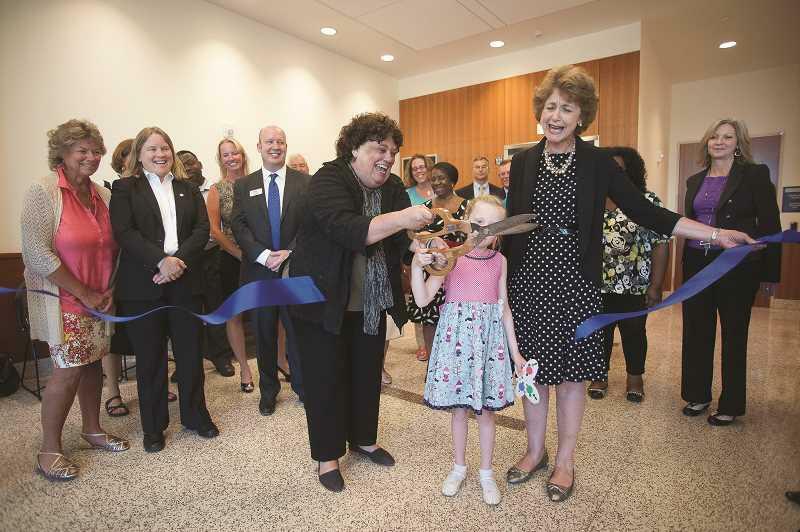 Read about our CourtCare opening at the East Multnomah County Court House! JOSH KULLA - Nan Waller (with scissors) and Multnomah County Commissioner Diane McKeel lead a ribbon cutting ceremony for the new childcare center at the East Multnomah County Courthouse. Rosabel Kott, 7, middle, helps out.